01.15.12 Todd Snyder overwhelmed all of his opponents, including former Maine champion Roger Morin, to score 4.0 points and win the First Houlton Open 2012, the first Maine Chess Association sponsored Maine Chess Player of the Year event of 2012. Morin took second with 3.0 points. The big story was, however, Colby College student Joe Fishman who gained 299 USCF rating points to finish with 2.5 points an a provisional USCF rating of 1781 in this his second rated tournament. 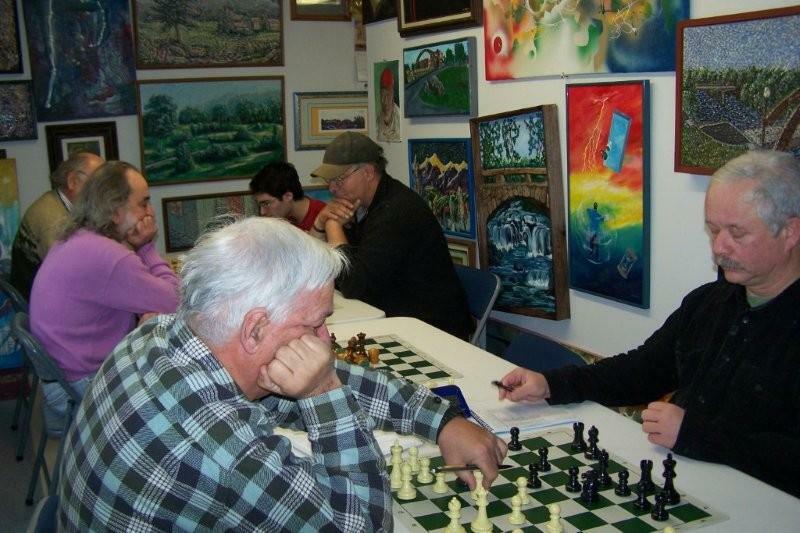 Players compete in the First Houlton Open of 2012 (back to front): Tom Sandford (left) plays Joseph Fishman, Richard Fontinha (left) plays Todd Snyder and Roger Hardison (left) plays Ray Haines in the first round. Todd Snyder picked up four wins and forty-six rating points for his first-place effort at the First Houlton Open of 2012. Roger Morin took second with 3.0 points (his only loss being to Snyder) and newcomer to USCF-rated chess, Joseph Fishman, finished clear third with 2.5 points in the four-round, G/60 event. Trailing the three leaders were Ray Haines (2.0), Roger Hardison (1.5), and Tom Sandford, Lance Beloungie and Richard Fontinha each scoring 1.0 point. 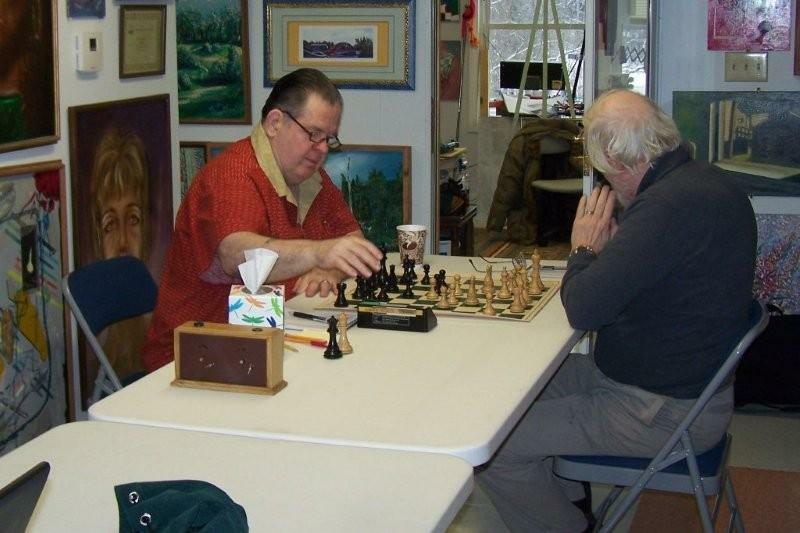 2011 Maine Chess Player of the Year Roger Morin (left) plays 2011 Maine Chess Player of the Year Runner-Up Lance Beloungie in the first Maine Chess Player of the Year tournament for 2012.